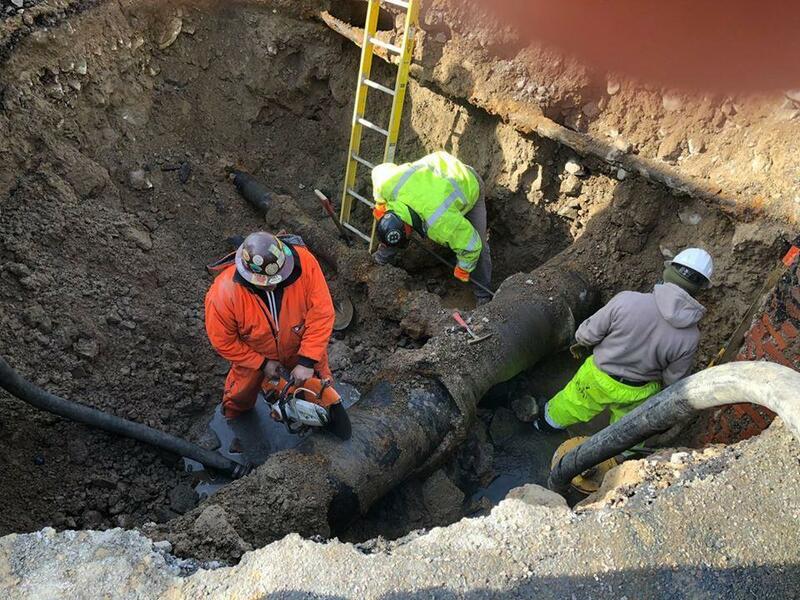 Brockton Public Works crews worked to repair the water main on North Main Street Sunday. A water main break on North Main Street in Brockton left dozens of residents and businesses without water for much of Sunday, according to officials. The 18-inch diameter ruptured at about 5 a.m. near the intersection of Upland Road. “Several area streets have had their water shut off,” the Brockton Fire Department said on Facebook. Public works crews were on the scene for much of Sunday. “Frozen ground slows down the digging,” Brockton Mayor Bill Carpenter said on Facebook. The repairs were completed by early evening, and full service restored, Carpenter wrote on Facebook.